Many big events in life and business require additional financing: buying a house and starting or expanding your business are just a few examples. These events shape you, your organization or your family. As a responsible community lender, New Frontier Bank is here to help make these big moments possible. By offering a variety of mortgage, personal and business loans, we are working to improve our communities by helping our residents and business owners achieve their goals. We do so responsibly with lending guidelines and the future in mind. Owning a home is still a vital part of the “American Dream.” The mortgage lenders at New Frontier Bank work to provide the best mortgage option for you. It’s all about getting you in the right home with a mortgage that won’t cripple you for the future. Click here for more information on our mortgage loans. A Home Equity Line of Credit gives you the opportunity to turn your home's value into cash ready to meet your financial needs. It can provide you with the flexibility of having funds available when you need them whether it be for an emergency or large expense such as a home remodel. 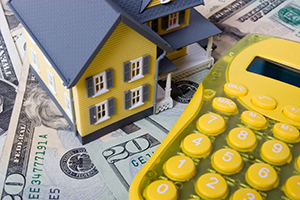 Learn more about New Frontier's Home Equity Loans. From purchasing cars or boats to going on that dream vacation, Personal Loans from New Frontier Bank help put your dreams in reach. Find out more about our Personal Loan options and how they fit your financial needs. At New Frontier Bank, we understand that strong businesses build the foundation of our communities. Our commercial loan options help local small business owners and entrepreneurs overcome the numerous expenses involved in starting and managing their business. See how New Frontier Bank can help with your business lending needs. New Frontier Bank is a preferred Small Business Administration (SBA) Lender which means easier applications and quicker approvals for your business. Click here for more information on the SBA Loan products offered by New Frontier Bank. To see how New Frontier Bank can help with your lending needs, call and ask to speak with one of our experienced lenders today.